There are abandoned farms everywhere in the rural area where we live. This is a tragedy as places that were loved so much just rot, but it is also an opportunity for anyone who wants to own a farm! in our county of Floyd Virginia, there are more than 400 vacant homes. many of these homes are the family homesteads where folks refuse to rent or sell the old family home/stead. that is their choice to not have anyone else live on the family land. Some families hire caretakers that live there and help maintain the property. Excellent ! I like the idea of finding an abandoned farm; build an Earthbag home and use natural resources right from the property itself to create my home. Thanks again Owen. 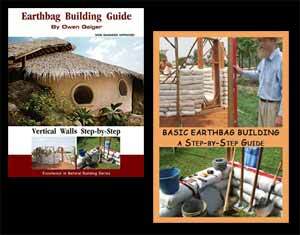 You have been an inspiration to my goal of building a home of natural resources. Blessings always. This is a great idea. Use the search terms Abandoned Farm and look for land in the area you want to live. This narrows the search and helps you find farms that are already have power, roads, septic, etc. so you don’t have to start from scratch. Plus, the land may be selling for a bargain since it’s abandoned.